Yesterday, Anchorage schools had a snow day because of wacky weather conditions and a lot of brand new perfect for building snowmen. The Amazing Turnip Girl decided that's what she was doing and came in after it was done to say "It needs a face." I told her she could raid my button box, plastic buttons only! 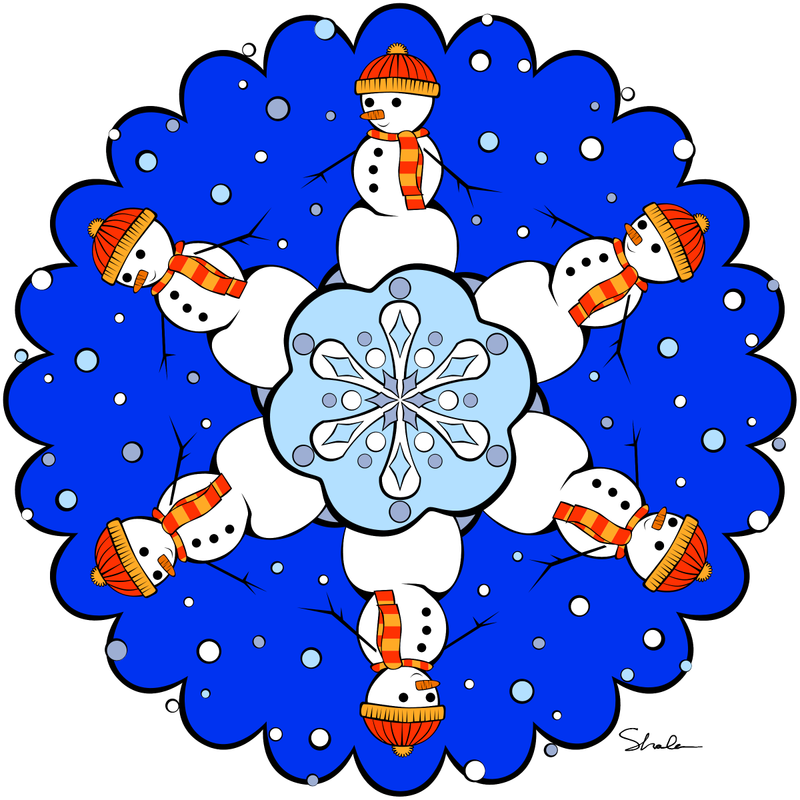 That inspired this happy little snowman mandala. Click on the image for a larger version to print. 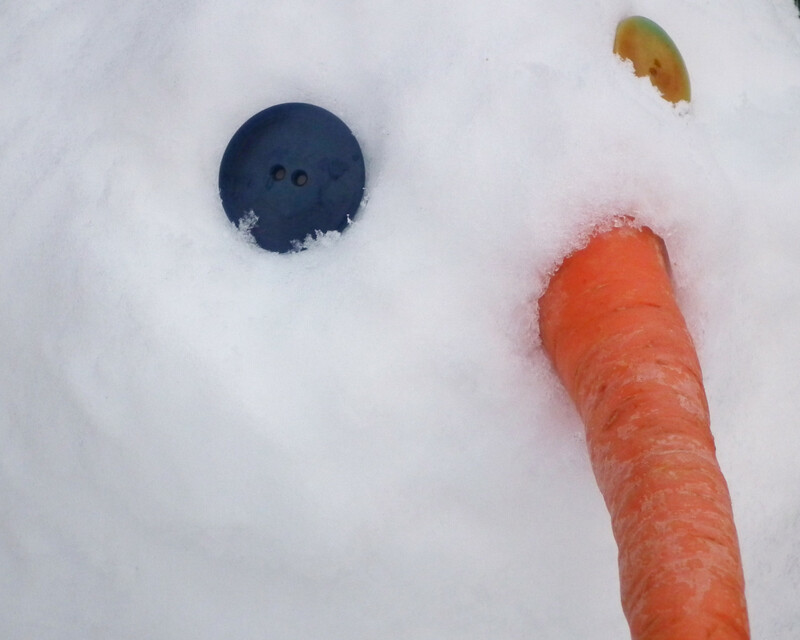 The Amazing Turnip Girl's snowman with deliberately mismatched eyes.